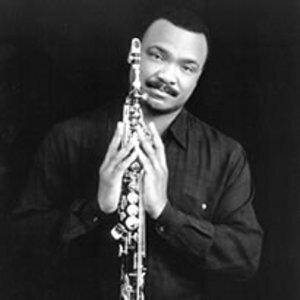 Ronald Wayne "Ronnie" Laws (born October 3, 1950 in Houston, Texas) is an American jazz, blues and funk saxophonist. He is the younger brother of jazz flautist Hubert Laws. Laws is the fifth of eight children born to Hubert Laws, Sr. and Miola Luverta Donahue. Laws attended Stephen F. Austin State University in Nacogdoches, Texas for two years. In 1972, Laws joined the fledgling group Earth, Wind & Fire, playing saxophone and flute on their album Last Days And Time. He left the band soon afterwards, long before they achieved their huge commercial success. Laws is the fifth of eight children born to Hubert Laws, Sr. and Miola Luverta Donahue. Laws attended Stephen F. Austin State University in Nacogdoches, Texas for two years. In 1972, Laws joined the fledgling group Earth, Wind & Fire, playing saxophone and flute on their album Last Days And Time. He left the band soon afterwards, long before they achieved their huge commercial success. In 1976, he began his solo career with the album Pressure Sensitive, on which his most famous instrumental song, "Always There", was included. It became an instant jazz-funk classic, covered by numerous artists. In 1978 he released an album called Flame under United Artsts (UA) records and from it a 12" single was released called "All for you" with a strong vocal presence and additional tracks entitled "Let's Keep it Together" and "Nuthin' 'bout nuthin" from other previous albums. The 12" single was his first issued in the UK as well as the US and paved the way for this format to be used for promoting artists' work at the time without the need to own the full LP. Apart from saxophones, Laws also included vocals into his songs. Notable vocal makings include "Every Generation" (1980), "Stay Awake" (1981, included on the album Solid Ground) and "Mr. Nice Guy" (1983). In 1999 a tribute to Ronnie Laws' "Always There", mentioned earlier, was played by a group of musicians including Boney James, Rick Braun, Kirk Whalum and Larry Carlton performing the number at the Montreux Jazz Festival. This has been issued on DVD and is entitled Casino Lights '99'. More recently in June 2005 the album Every Generation from 1980 was at last, after continued demand, issued on CD format. The original tracks are "Young Child", "Never get back to Houston", "Every Generation", "Tomorrow", "O.T.B.A. ", "Love's Victory", "Thoughts and Memories" and "As one".